A few weeks ago, I asked folks over on my Facebook page to suggest an Iron Souls scene they’d like to see from a different point-of-view. Mandy suggested a look through Zach’s eyes during/after being healed in Ferromancer. Intrigued by the idea, I decided to give it a try. Hope you like it! 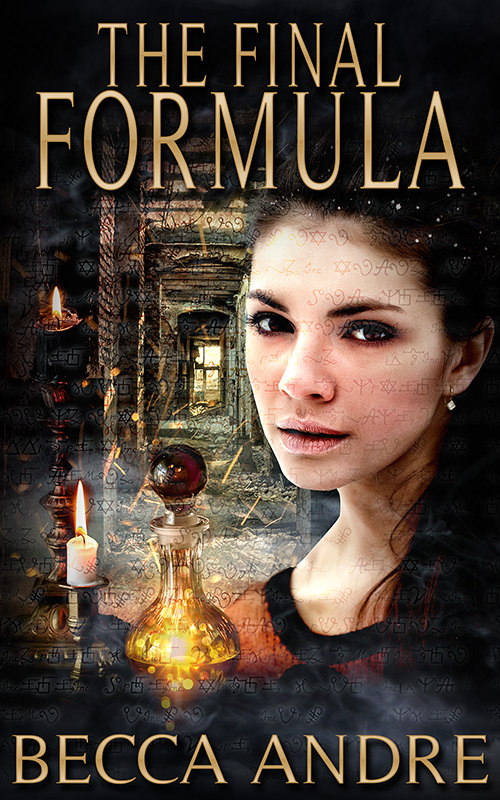 Warning – If you haven’t read Ferromancer, there are spoilers here. Zach knelt on the deck beside Grayson, but could only watch as he pulled his knees tighter to his stomach, whimpering in pain. The movement caused the metal spines protruding from his upper back to glint in the sun. The sight was disturbing, but Zach had grown used to it over the course of the night. Unlike the stomach churning split in the skin over Grayson’s shoulder blades, exposing even more metal. The emergence of that metal had been painful enough to wake Grayson from his near comatose state a short while ago. Captain Briar knelt across from Zach, looking as lost as he felt. He wished he could offer some words of encouragement to her, but even if he could speak, he didn’t know what to say. 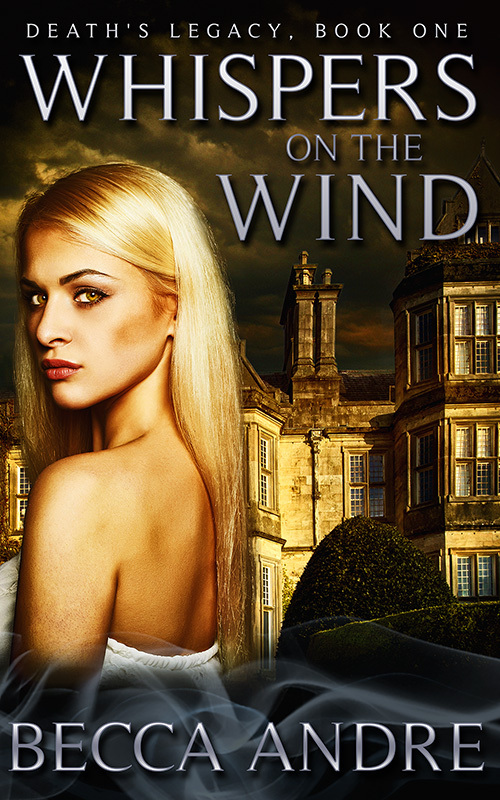 “Miss Briar?” Eli said from above them, his voice soft and uncertain. Grayson cried out and a stream of blood ran from one nostril. Zach gripped his shoulder, feeling helpless with his inability to offer anything but comfort. Still, he knew how important that contact was. After the fire that had taken most of his family, he’d lain for weeks, slipping in and out of consciousness, fighting fever after fever and unimaginable pain. His cousin had sat at his bedside, as helpless as he was now, but she hadn’t left him alone. She had held his hand and talked to him through those long days and even longer nights. That was why, when he saw Grayson writhing in pain and delirium, he had silently vowed to stay with him—even though he couldn’t talk him through it. The strange response made Zach look up and he saw that she had pulled a silver pocket watch from her pocket. The watch was new, and he couldn’t help but wonder if Grayson had given it to her. The pair had grown close over this adventure—much to Eli’s annoyance. “Miss Briar, what are you—” Jimmy gasped as the watch transformed into something else. Zach stared in shock at the little metal creature—was that a dragon?—resting on Briar’s palm. The dragon looked up at her, his gem-like eyes full of sadness. “He’s dying, isn’t he?” Briar whispered. The dragon made a noise that sounded almost like a moan. The little dragon studied her a moment, then leapt into the air. In a flurry of silver wings, he flew back to her cabin. “Captain, what’s going on?” Jimmy asked. “Like when metal is poured into a mold at a foundry?” Jimmy asked. Zach feared she was right. A glint of metal caught his eye and Zach turned his head to see the metal dragon flying back to them. He carried the Captain’s fiddle case in his talons, an object many times his own size, yet it seemed to hamper him little. He dropped it into Briar’s hands, then landed on her shoulder. “Is that an automaton?” Benji asked. Zach smiled faintly at the way his brother was more awed than alarmed at the sight. The metal dragon cooed and rubbed his cheek against hers. “That’ll help?” Eli sounded skeptical. “It helped after Grayson stopped that soulless man in Chillicothe.” She opened the case and took out her fiddle and bow. 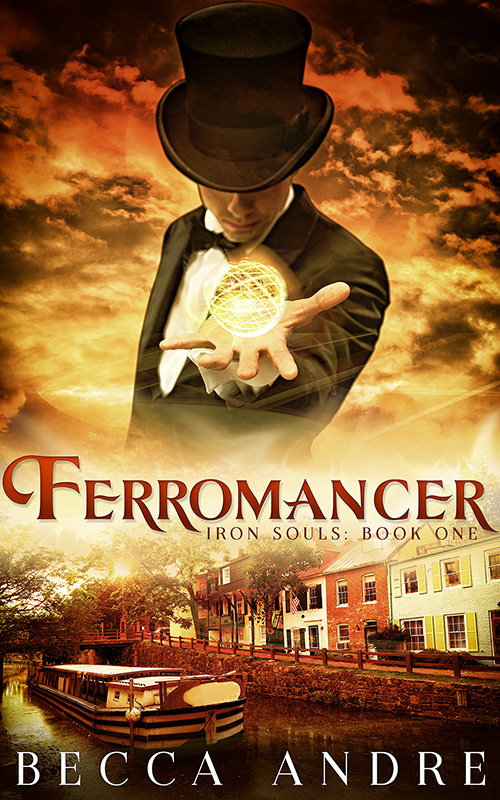 “Is that where you learned he was a ferromancer?” Benji asked. Zach smiled again at the look of intrigue on his brother’s face. Benji wasn’t normally so talkative, but the novelty of all this had made him forget his shyness. “No, I didn’t find out until Solon did this to him.” Briar got to her feet. Grayson cried out again, drawing his legs tighter to his chest. Zach tightened his grip on his shoulder, reminding him that he wasn’t alone. Briar tucked the fiddle under her chin and took a deep breath. She seemed uncertain that this would help. Zach wasn’t so certain himself, but he remembered a conversation he’d had with Grayson out on the towpath. Well, it hadn’t been a conversation by most standards. Zach had made a few gestures in an attempt to get Grayson’s opinion on the captain’s talent with regard to the fiddle. He thought her exceptional, but Grayson was far more worldly and Zach suspected, much more knowledgeable on the topic. Yet other than a passing comment on her skill, Grayson had interpreted the question as to why her playing had helped cheer him after the incident in Chillicothe. He had claimed that when she played from the heart, her music could touch his soul and warm him. The statement had confused Zach at the time, but now, with the little dragon encouraging her to play, it made a kind of sense. He touched the captain’s leg to get her attention, and when she looked down, he placed his hand over his heart, then pointed at her. Huh, maybe Grayson had discussed it with her. Zach nodded and gave her leg a squeeze of encouragement, before withdrawing his hand. The little dragon snuggled closer to the side of her neck opposite the fiddle, seeming to offer encouragement. What an amazing creature. Briar took a breath and drew the bow across the strings. She played a series of notes that ran from high to low, then low to high as she often did before she played. Maybe to get her fingers limber. She ran through those notes a few more times, then she started to play a tune. The song was not one that Zach had ever heard before, yet in just a few notes, he found himself holding his breath in astonishment. He knew nothing about music, but he did know she was extremely talented. Yet this song was like nothing she’d ever played before. It was so…powerful. The tune was cheerful and upbeat, yet somehow determined and oddly stubborn. Those were not words he had ever used to describe music, but it fit the sensations the song awoke in him. Briar played on and on, even to the point where she left a bit of blood along the board beneath the strings. If it hurt, she didn’t let it show. Or maybe she was so lost in the music that she didn’t realize. “It’s working, Captain,” Jimmy said, his voice little more than a whisper. Zach had been so mesmerized by the music that he’d almost forgot the purpose of her song. He looked down at Grayson and was immediately struck by how much his pallor had faded. He was no longer tensed against the pain, but lay relaxed on his side, his eyes open. As Briar continued to play, Grayson braced a hand on the deck and tried to sit up. Zach helped him. Grayson clenched his hands where they rested on his thighs, and one by one, the metal spines began to retreat into his body. Oval-shaped, silver orifices remained over each vertebra like a line of oblong silver rivets down his back. But that wasn’t all. 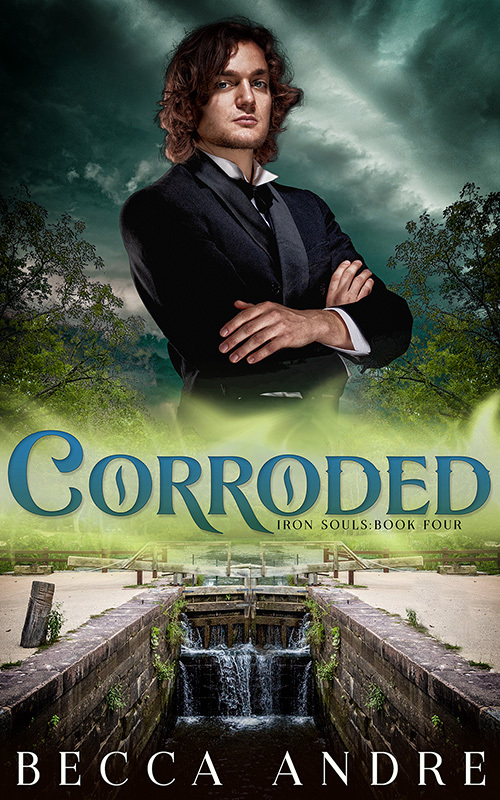 The exposed metal to either side of his spine morphed and grew until a series of overlapping silver plates was molded over his shoulder blades. Finally, Grayson’s hands relaxed against his thighs, and he bowed his head, allowing his damp hair to fall across his forehead. Briar took the bow from the strings, and the last note echoed across the calm waters of the canal. The little dragon gave a squeal of delight and leapt from her shoulder to Grayson’s. He got up on one knee, but hesitated before pushing himself to his feet. Zach rose to his feet and offered him a hand. Grayson looked up, and after studying him for a moment, allowed him to pull him to his feet. Zach tensed, ready to catch him if he started to fall, but he was surprisingly steady. Grayson looked down, then ran a hand over his chest as if noticing for the first time that he was shirtless. The red scar down the center of his sternum stood out against the untanned skin. Though Zach didn’t fully understand Grayson’s embarrassment over the blemish—it was nothing to his own deformed skin—Zach could appreciate the sentiment. He pulled off his own shirt and offered it to Grayson. With the exception of the captain, the rest of the crew had seen his scars before. Grayson studied Zach and the offered shirt. Zach was beginning to wonder if he would even take it when he reached out and gripped his scarred shoulder. A tingled danced across Zach’s skin and he gasped, but without the ability to speak, he couldn’t ask what was happening. He glanced down and watched in shock as a shimmer of light danced across his skin as if he’d been dusted with a fine layer of glittering sand. He started to pull away, but Grayson’s hand tightened on his shoulder. That’s when Zach noticed that his scars were fading. Stunned, he stood rooted to the spot as the puckered depressions smoothed out and the blotchy red patches disappeared. In a matter of seconds, his scars were gone, though his skin retained a faintly glittery property. Grayson’s hand slid over from Zach’s shoulder to his neck. Zach’s heart leapt in his chest, not certain what he was doing, but Grayson didn’t grip his throat. Instead, his palm came to rest against the side of Zach’s neck, and he pressed his thumb to the front of Zach’s throat. The same tingle Zach had felt across his skin now began deep in his throat, making him want to cough. He swallowed instead, and for the first time since he woke after the fire, the tightness was gone. Grayson took his hand from Zach’s neck, then swayed on his feet. Alarmed that he might fall, Zach caught his shoulder, steadying him. Grayson’s blue-gray eyes met his and Zach knew, he just knew that his suspicions were true. He swallowed again, then took a breath. “Perhaps you shouldn’t have done that.” The words that left Zach’s mouth were little more than a whisper, but he had spoken. He had spoken! For the first time in five years. Out of the corner of his eye, he saw Briar press a hand to her mouth. Zach frowned, not following that at all. Grayson gripped his shoulder before he could ask, and without another word to anyone, walked off toward the bow of the ship, the metal dragon still perched on his shoulder. He hadn’t taken the shirt Zach had offered, leaving the metal in his back to glint in the sun as he walked away. A sob pulled Zach’s attention back to the others. He was shocked to find that it was Benji, but before he could figure out what was wrong, Ben stepped forward and hugged him. “It’s all right, Ben.” Zach couldn’t voice more than a whisper, but even if he could, seeing Benji’s emotional response would have made it difficult to speak. Instead of attempting to say more, he hugged Benji tight, running a hand over his blond hair. Zach looked down and saw that there was a faint glimmer to his skin where the reddened and pitted scars had been. The others continued to discuss it while Zach lifted his arm to study the difference. “I don’t think Zach is complaining,” Jimmy said, drawing Zach’s attention back to the conversation. “They can also make a man soulless,” Eli pointed out. Zach looked up from his examination and smiled. “I’ll refrain.” His voice was still weak, but perhaps it would improve. She returned his smile, then patted his shoulder and walked away, carrying her fiddle back to her cabin. Eli crossed his large arms and frowned after her, but said nothing else. “He ain’t even human,” Eli grumbled. Zach left Jimmy to the familiar argument and walked over to take a seat on the side of the boat. He didn’t bother to pull on his shirt, relishing the feel of the sun on his skin. He cleared his throat, hearing the difference in the sound it made. He was tempted to pinch himself, to see if he was dreaming, but was half afraid he’d wake up. “You all right?” Benji asked sitting down beside him. “Yes,” the soft word emerged at Zach’s command. “I’m just…overwhelmed,” he admitted. Pride did not prevent him from being honest with his brother. They had been through too much. “Yeah.” Benji looked away, but Zach still glimpsed the dampness in his eyes. “You had to come get me.” Benji choked on the last word, then covered his face with his hands. Zach sighed, seeing that as much as he’d prefer not to revisit that terror-filled night, Benji needed to. “What do you understand?” he whispered. “You stop right there, Ben Beaumont,” Zach put as much force into his weak voice as he could muster. “You were a ten-year-old kid, scared and confused. Hell, with all that smoke, I nearly got lost getting back out after I had you. Nothing about that night was anyone’s fault.” The words were barely audible by the time he spoke the last, but he got the words out. Benji pressed his lips together and shook his head. He was going to be stubborn. Zach blinked. Was Benji messing with him, maybe trying to make a joke? A gift. Hadn’t Grayson said something odd about a new ability his voice would give him? “I’ll hitch the team,” Zach said. “It’s my turn to drive,” Benji said. “Your turn to muck out the stalls.” It was Benji’s least favorite task, so he wasn’t one to forget whose turn it was. Zach hesitated. It was wrong to test this on his brother, but he needed to know. “You asked to switch.” Zach spoke with certainty, holding Benji’s gaze. Zack had to make an effort to keep his mouth from falling open. “Yeah, sure.” Zach debated on whether to undo what he’d done, but he really could use some alone time out on the towpath. If Benji ever realized, hopefully he’d understand. They docked in Lockbourne a little over an hour later. Once the gangplank was in place, Benji hurried ashore to help Zach with the mules. Zach bit his lip to keep from laughing. All right, this was wrong, but it had worked. He pulled the whiffletree out from behind Big Red, narrowly avoiding a kick. “Hey, Zach, look,” Benji said softly. When Zach glanced up, Benji nodded toward town. Zach turned to see what had caught his attention and pulled in a breath. A policeman, his blue coat recognizable even from a distance, was walking along the edge of the dock, eyeing the canal boats. Grabbing the reins, Zach looped them around a hitching post. “Come on,” he said to Benji. He immediately obeyed and Zach flinched. Had that been a command? He hadn’t intended it to be. “What are we going to do?” Benji asked. “I want to show you my new trick.” Zach started toward the policeman. “Zach!” Benji whispered, alarm heavy in his voice. Zach looked back over his shoulder as if following the policeman’s gaze. “No offense, but that’s the Briny Rose, sir.” Zach spoke the words with conviction, willing the man to believe him. Would he? Zach released a silent breath and fought back a smile. “I believe the previous owner was once a sailor at sea,” Zach suggested. The words came easy, his voice stronger now. “No trouble,” Zach agreed, smiling to hide how nervous he was. With a tip of his hat, the policeman walked off. Zach released a breath, weak with relief. “That was amazing.” Benji stared at Zach in shock. Zach turned, wanting to move well away from the departing policeman before Benji launched into the questions he knew were coming, and saw Briar and Grayson standing a short distance away. His cheeks warmed as he realized that they’d witnessed the whole thing. “It’s on account of what Mr. Martel did for me.” Zach waved a hand at Grayson, hoping both for verification and some assistance with an explanation. “He can magic people into believing what he says,” Benji clarified, catching on a lot quicker than Zach expected. Grayson looked amused by the comment, but remained silent. “Have a safe trip,” Benji said, staring at Grayson in wonder. Zach watched the exchange, amused until Grayson turned to him. Zach didn’t answer, smiling his agreement, as was his habit. When Grayson offered his hand, Zach took it. “Thank you,” Zach said. The words seemed so inadequate. Still unable to find the words to express his gratitude, Zach just smiled. “Where are we headed?” Benji asked. “North.” She offered nothing further, and led Grayson away. Zach watched him go, with an odd mix of emotion. He was extremely grateful to be whole again, but the events of the last few hours, or more accurately, days, had unnerved him. Perhaps it was best that they parted ways. As Eli had pointed out, Grayson wasn’t even human. 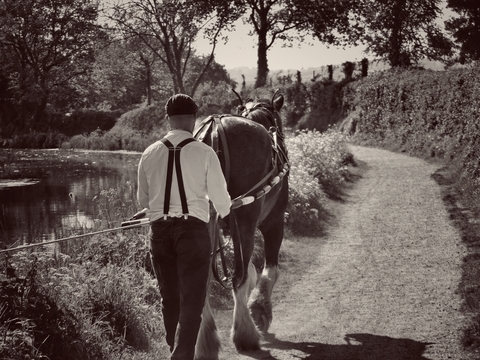 He walked back to the mules, Benji at his side. Judging by the silence, his brother must be turning over all these things in his mind as well. Zach decided not to interrupt, moving over to start on Big Red’s harness. Benji’s brow wrinkled. He didn’t look convinced. “And the magic will hold you to it?” Benji asked. I enjoyed this POV from Zach’s outlook. I’ve read all of the books in the series and am looking forward to the next one. I’m hoping it has a happy ending!